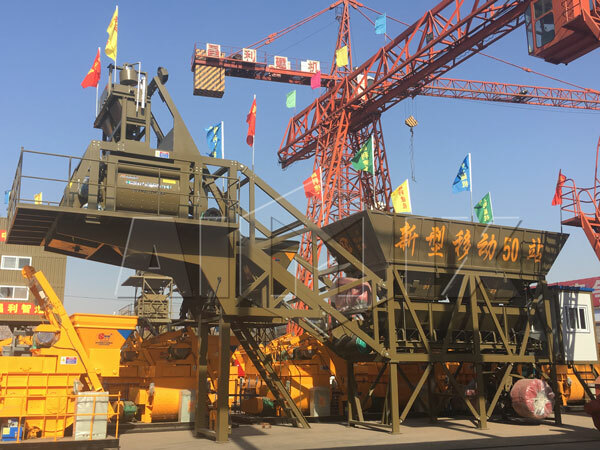 YHZS25-75 mobile concrete batching plant has been ideal choice for mobile construction project of long construction line, and needs to change the construction site frequently, such as, highway, railway, port, water-power engineering. And mobile concrete batch plant for sale is a special concrete production equipment combines material storage system, material weighing system, material conveying system, material weighing system, discharging system and full automatic control system into a drag unit. 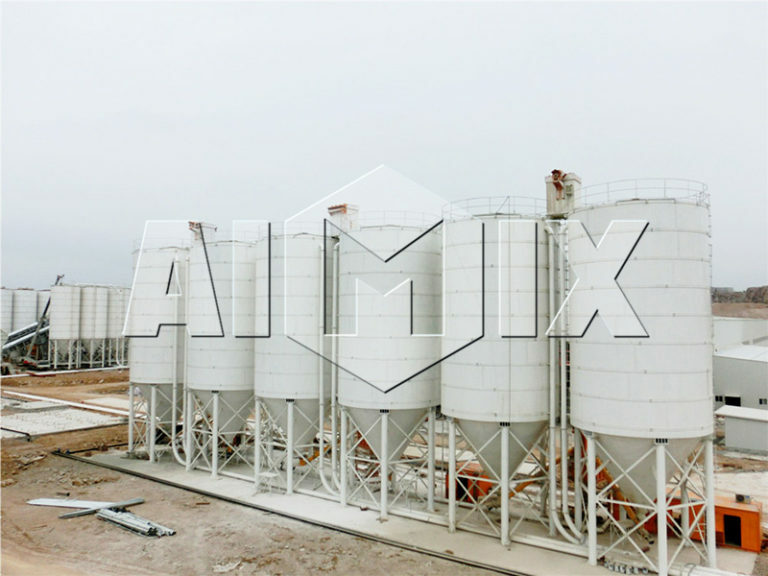 We AIMIX GROUP is professional mobile concrete batching plant manufacturer, mobile batching plants produced by us can achieve stable performance. 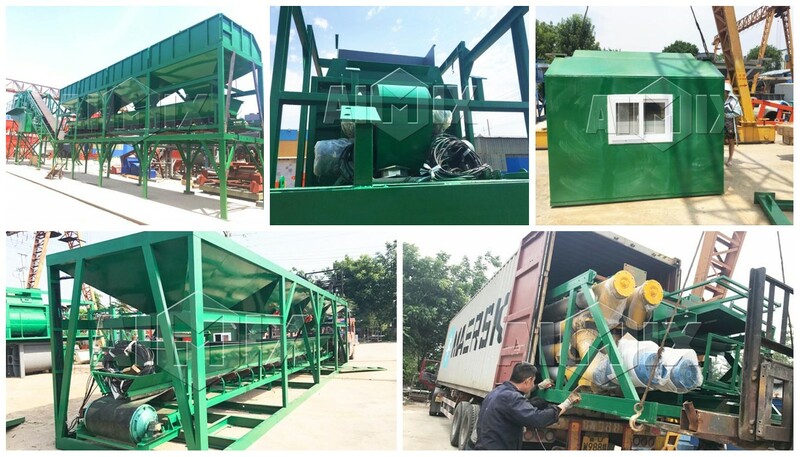 For working process, they are the same as the stationary concrete batching plant, operating method and maintenance, meanwhile, it is with features of easy transportation, convenient assembly and disassembly as well as simple storage management. 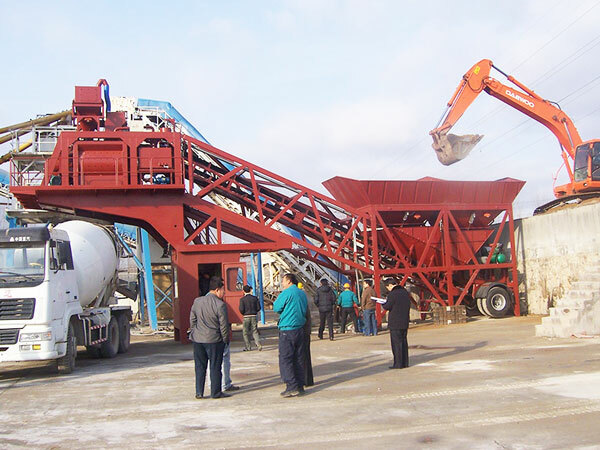 What’s more, mobile concrete plant is widely used to mix no-slump concrete and fluidity concrete. 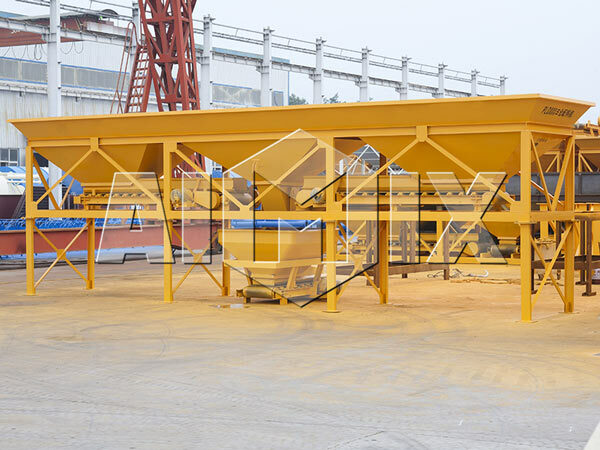 The whole equipment has less land occupation, and during the usual working process, the maintenance only needs few people and short time, which greatly save the construction cost. 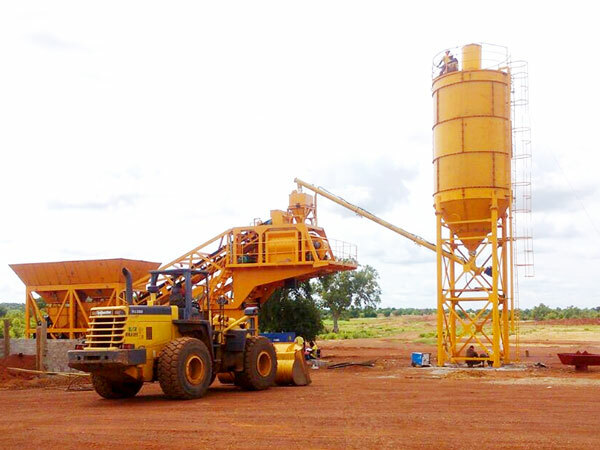 Also, mobile cement plant is suitable for new rural construction. Its high mechanization degree brings a lot of convenience to people. 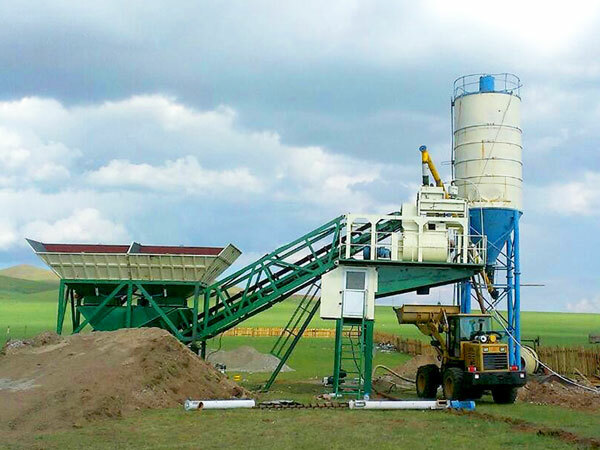 Here is a mobile concrete batching plant video feedback from Philippines user, you can have a look. We mainly have types of YHZS25/35/50/60/75/90/120 for your selection. 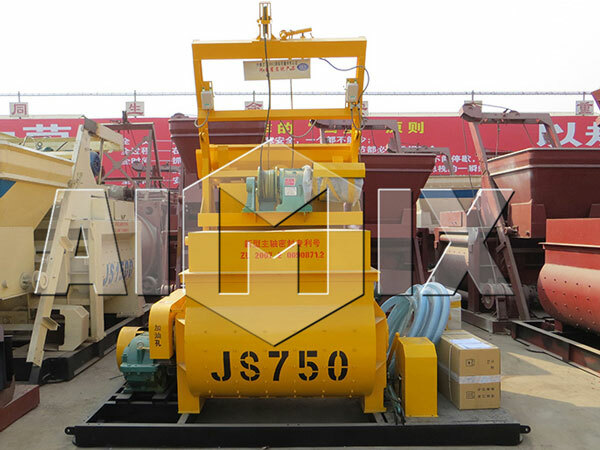 And they are equipped with corresponding JS series twin shaft concrete mixers: JS500/750/1000/1000/1500/1500/2000. 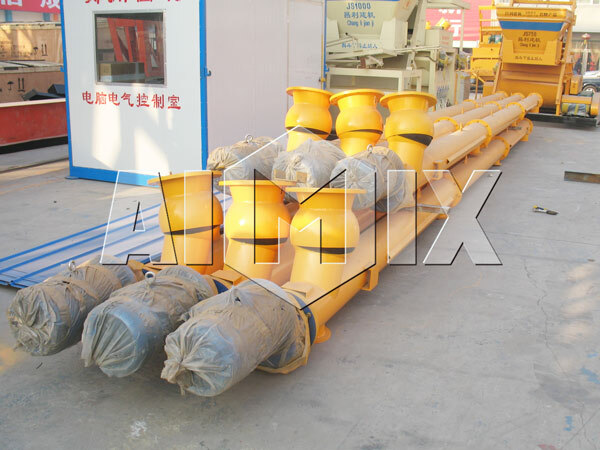 Some portable concrete mixer batching plants are equipped with JSS double spiral belt concrete mixer. 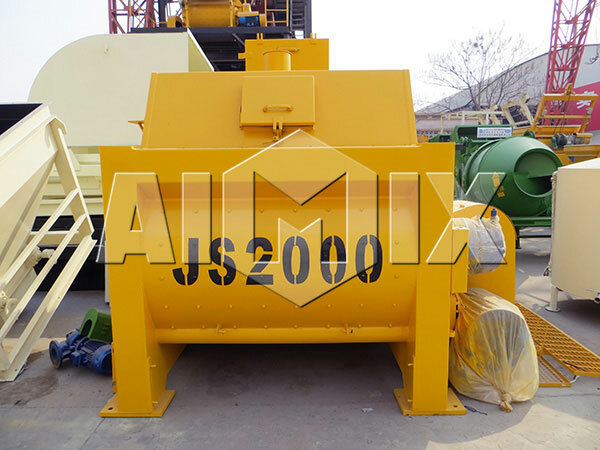 Compared to JS series concrete mixer, this kind of concrete mixers reduce the mixing time to half, and the evenness is increased by 15%. But both JS series and JSS series have good reputation from customers, you can choose one kind of according to your practical construction condition. If you want to learn more about concrete machines, you can visit this goole+ page. 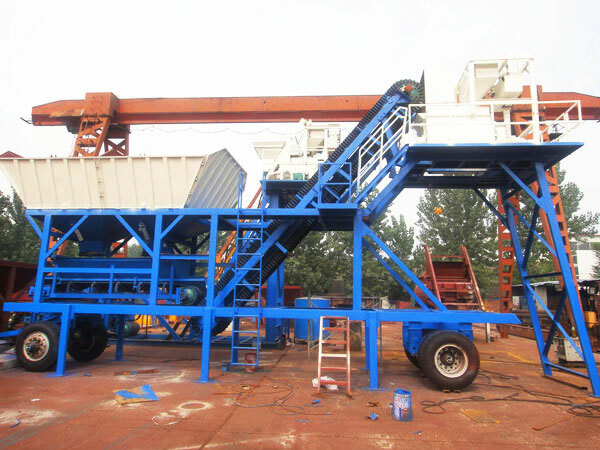 Mobile batching plant for sale has seven parts. 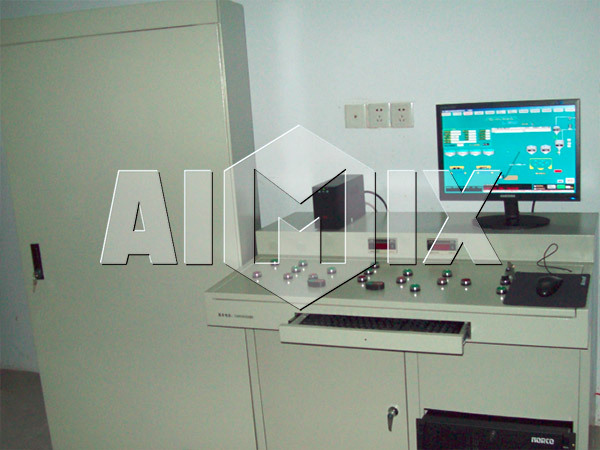 1) Aggregate weighing. There are three ways to weigh the aggregates: separate weighing, accumulative weighing and belt weighing. If your construction is urgent, you’d better choose separate weighing and there are four warehouses for aggregates weighing at the same time. Therefore, among these three ways, it has the highest weighing efficiency. And for accumulative weighing, under the storage bin is only one weighing hopper, so the aggregates will be weighed in turn and it takes much more time. But compared to separate weighing, it takes lower costs. 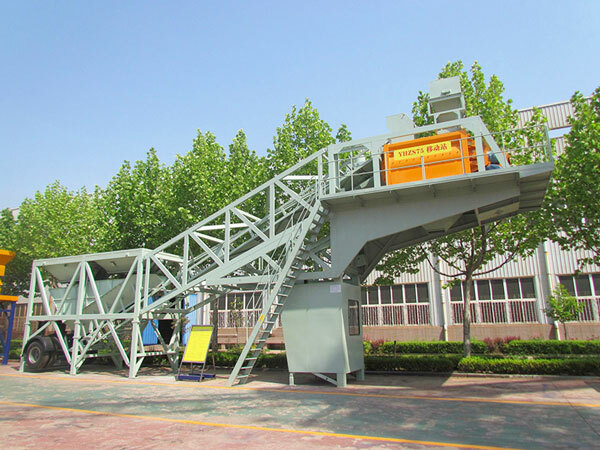 As for belt weighing, it belongs to accumulative weighing, the difference is that there is a weighing sensor on the belt, when the storage bin discharges the aggregates to the belt and the aggregates will be weighed by the sensor. 2) Powder weighing. 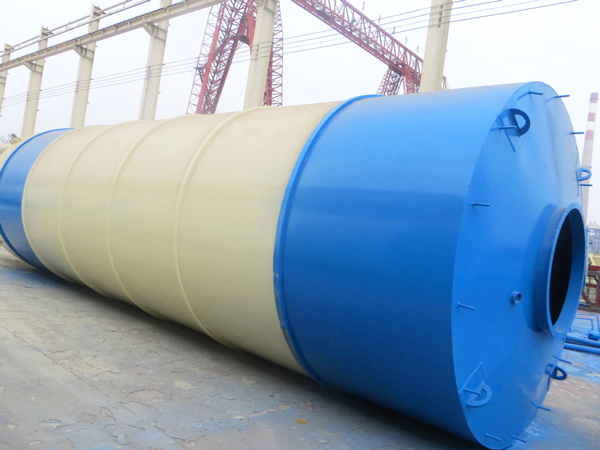 Actually, screw conveyor is the bridge between the cement silos and powder weighing system. 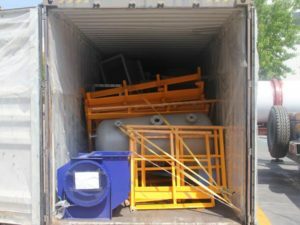 when the powder is discharged by opening the butterfly bamper, the powder will enter into the powder weighing system and after the weighing process, it will be discharged to the waiting storage bin. 3) Additive and water weighing. Firstly, water pump draws water from the pool and pumps the water into the water weighing hopper. 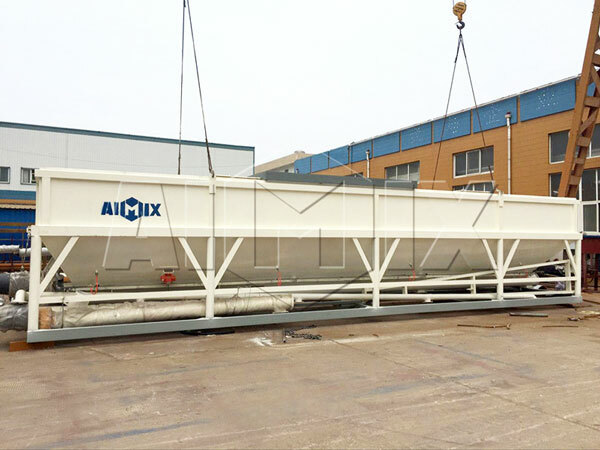 Meanwhile, additive pump will pump the additive to the additive weighing system and after the weighing process, discharge the additive into the water weighing hopper. 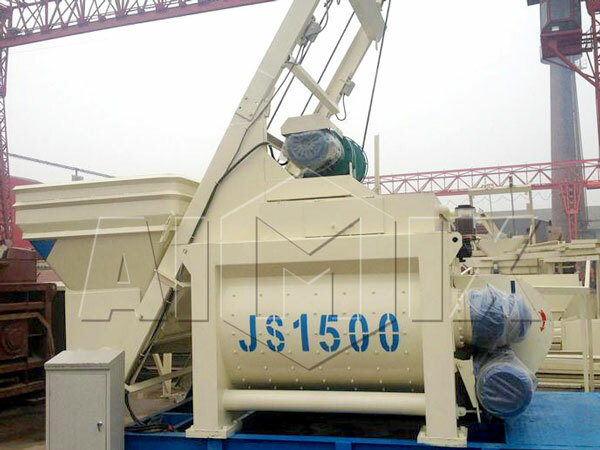 This type mobile concrete batching plant is equipped with mobile concrete mixer, also named concrete drum mixer. Compared with YHZS series mobile concrete plant, it can produce a large quantity of concrete, but quality of concrete is not so good as that of YHZS series’. 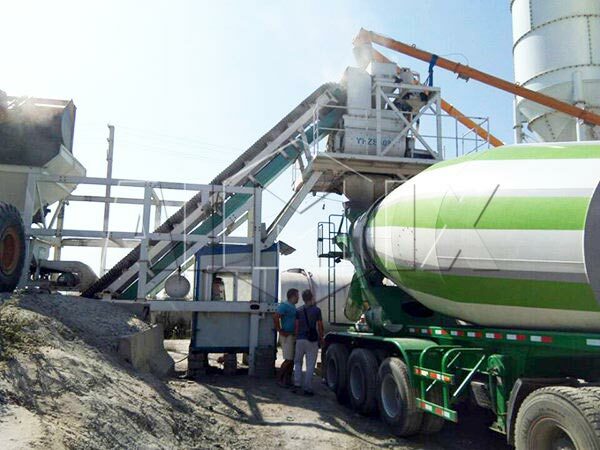 Therefore, if you want to high-quality concrete, please choose YHZS series mobile concrete batch plant. 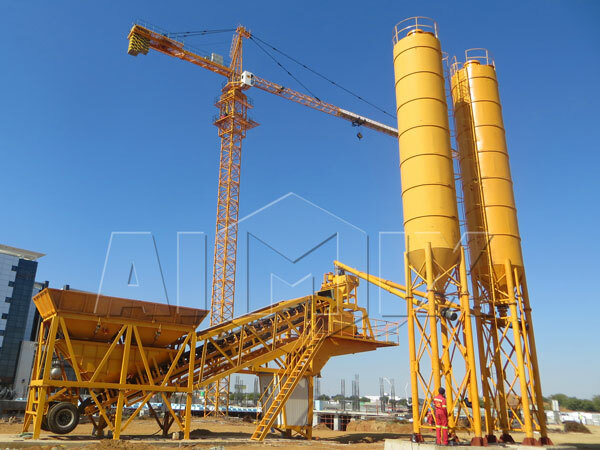 However, if you need amounts of concrete, YHZM series concrete plant will be your ideal choice. You can choose a right type according to your real needs. If you don’t know how to choose a right mobile concrete plant, contact us, we will give you professional advice and perfect construction scheme. 7. Electrical control system. One is full automatic control and another is semi-automatic control. It all depends your demand. The working process of mobile batch plant for sale is easy to understand. 5. After the mixing process, the concrete mixture is accomplished. 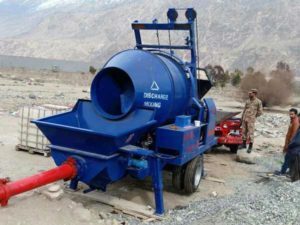 So, put them into the concrete mixer truck and transport them to the designated construction site. Mobile concrete batch plants have many advantages as fellows. 1. High productivity and low energy consumption. 2. Stable performance and long service life. 3. Easy movement and convenient maintenance. 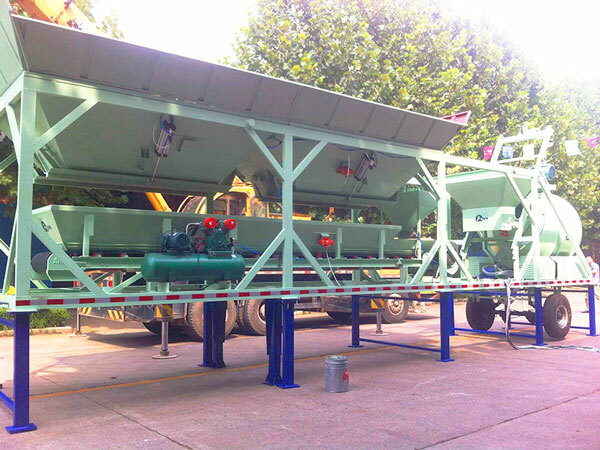 Concrete mobile batch plants are in a complete drag unit, so it can be transported easily. In addition, it has compact structure and less land occupation. At the both sides of the belt conveyor, there is maintenance tunnel for the convenience of check and maintenance. 1. 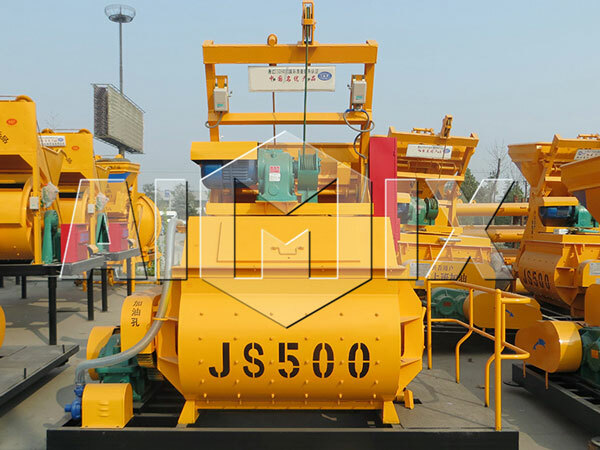 Our company has been engaged in the production and marketing of the concrete machine for many years, and our mobile batch plant as one of the most popular construction machine, it has been sold at home and abroad, and has won the good reputation. 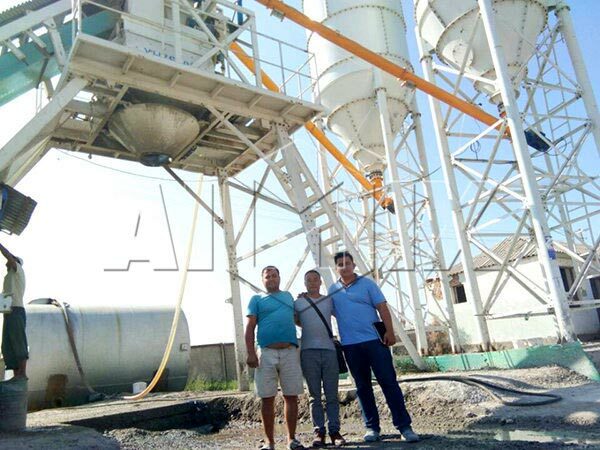 Although there are so many mobile concrete batching plant manufacturers, we can say we are one of the best in Zhengzhou, Henan. 2. 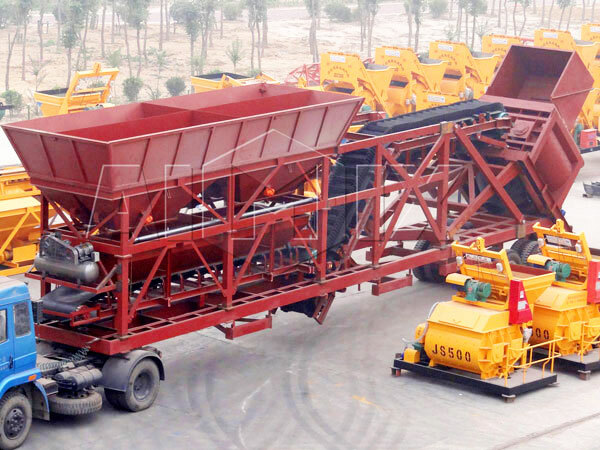 We have exported more than 80 sets of mobile batching plants to abroad. Up to now, to give you better service, we have established LBS center in Uzbekistan, Philppines, Sri Lanka, Indonesia and Pakistan. What’s more, at Lahore, we not only have office, but also factory. And we have trained more than 30 workers to produce mobile plant concrete, they have consummate skills. 3. 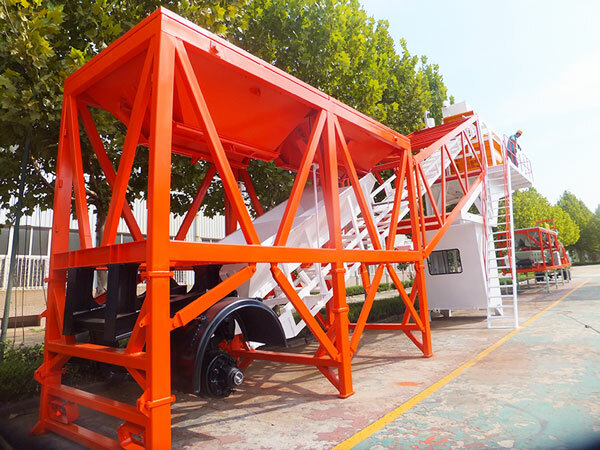 In addition, we can give you best mobile batching plant price, because we produce these plants on our own, to some extent, won’t cost a lot. Moreover, we are near from some customers, can save shipping cost and maintenance cost. 4. Also, our service is much more considerate and complete. When you give an inquiry for mobile concrete plants, we will serve you sincerely. 5. We set up spare parts supply warehouse, any needs, you can call us or leave message on our website, we will arrange logistics within 48 hours. 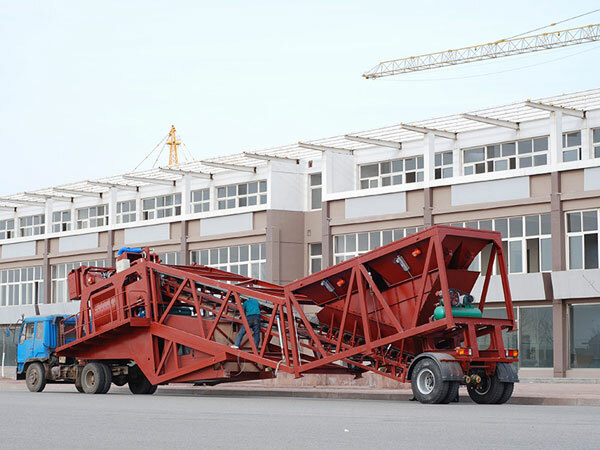 Do you want to know mobile concrete mixing plant price? Please feel free to contact us and we will answer you within 24 hours.